Review: "Inglorious: Ride to Nowhere" - Sea of Tranquility - The Web Destination for Progressive Music! British hard rock act Inglorious burst on the scene in 2016 with a red hot debut, followed that up with a near equally strong sophomore release a year later, then spent most of 2018 either playing live or writing & recording material for their third album, Ride to Nowhere. This latest effort for Frontiers Records is a nice way to kick off 2019, and I think it's a leaner, slightly darker, and better album overall than its predecessor. Once again, the band is comprised of vocalist extraordinaire Nathan James, guitarists Andreas Eriksso & Drew Lowe, bassist Colin Parkinson, and drummer Phil Beaver. These guys are quite good at crafting richly melodic hard rock material that draws upon the classics of the '70s & '80s but still sounds fresh and modern. Tracks like the haunting "Tomorrow" and the ultra catchy & heavy "Where Are You Now?" stick in your brain and refuse to let go, while bluesy hard rock fare such as "Queen", "Freak Show", "Liar", "Time to Go", and the massive "While She Sleeps" are just spectacular songs that bring to mind the greats like Badlands, Led Zeppelin, and Deep Purple. The herculean title cut is also one of the albums highlights, a brash mix of hefty blues rock and doom laden riffing, James' potent vocals soaring over the top of the bombast. 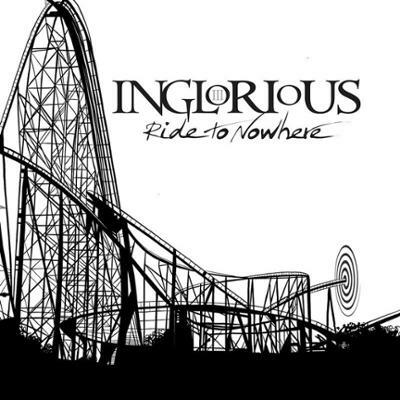 Easily one of the bright shining stars on the Frontiers label, Inglorious are poised for a breakout here with Ride to Nowhere. This is outstanding melodic hard rock with a classic feel, and if you haven't yet discovered these guys, this is a great starting point.